In the early stages of researching your ancestors, you keep with the direct lineage, those parents, grandparents, etc. However, you can early on run into a roadblock on a certain relative. There is a grandfather on your mother’s side in which you can not locate any of the basic data. Change the approach and look at other branches of that generation, the siblings of the grandfather. The connection of that missing ancestor and their siblings is strong. They had shared parents, residences, churches, schooling, etc. It is possible, one of those sibling’s descendants could have already completed extensive research on that family branch. A family historian can be totally unaware of certain siblings in a family. Just locating them and putting the pieces together can assist both of you. Looking for ancestor’s siblings starts by examining known given names in that family lineage, along with any variations in surname spellings. It does happen that siblings in the same family can use varied spelling forms for the identical surname. Look over any family Bible records and old photos, there may well have been a name overlooked because the surname was different, especially in the case of a sister’s marriage. Given names of relatives are handed down as first and middle names. For example, if you see that the name ‘William’ is used for two of your first cousins and one uncle’s names; it could also be the name of a great uncle, a potential brother to your grandfather. Insert the selection of promising first and middle names with the family name and search that especially in the state where the family came from. Substitute any reasonable nicknames in your search; for example, ‘Harry’ for ‘Henry’ or ‘Niel‘ for ‘Cornelius‘. That goes for female names; they are used also for later generations; like ‘Aggy“ for ‘Agatha‘. If you locate any possibilities, check them with the online LDS Family Search site, U. S. Social Security Death Index, RootsWeb-World Connect, obituaries in the state or county and even the Ancestry.com free 1880 U. S. census records and U. K. 1881 census. Put the name through any online databases available from county genealogical societies where your ancestors lived. 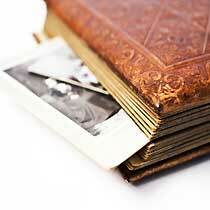 Locate and review city directories and cemetery databases / records where family members may have lived. Post a query about that sibling with any of the online message boards, like RootsWeb Message Board or GenForum. If you have access to digital newspaper archives, those are also a good source to find information on a sibling. Learn as much as possible on each sibling. Develop a list of those you locate as possibilities, along with dates and locations. Research those individuals for whom they married, their residences, children and occupations. This is to help connect them with the right family branch. Death certificates, obituaries and death notices can list surviving siblings, especially sisters with their married names, and where they lived. The more information you gather, you can go back over other major sources by census records to help verify. On those census records scan over neighboring households, family members tended to live nearby. This additional research time on siblings can yield results. Not only adding branches to your tree, but hopefully more information on your own direct ancestor.